Observation - Water Carpet moth - UK and Ireland. 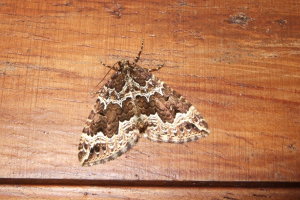 Description: A lovely patterned moth,choclate brown with jagged white bands across both wings. A lovely patterned moth,choclate brown with jagged white bands across both wings.